MOORESVILLE, N.C. (Oct. 23, 2017) – With a commanding performance in the season finale at Kansas Speedway, Cunningham Motorsports driver Ty Majeski never fell out of contention for the win after running in the top-five for the duration of the 100-lap Kansas 150 Friday night. Starting from the third position, Majeski took his No. 99 Treeo’s Ford Fusion to the front for 38 laps, coming away with a career-best second-place finish in the last race of the 2017 ARCA Racing Series presented by Menards season. From the start it was clear Majeski had one of the strongest cars in the field, posting the third-fastest lap time during practice. Even after an engine swap midway through practice, Majeski maintained those high speeds with a third-place General Tire Pole Qualifying effort. When the green flag fell, Majeski quickly moved up to second and settled into that position slowly chipping away at the lead. With a caution falling just 17 laps into the night, Majeski reported battling a free car, but opted to stay off of pit road until later in the race. On lap 24, Majeski took the lead on the restart and held it for the next 32 laps. That chance to make his way down pit road came under yellow on lap 54 where he got four fresh General Tires, Sunoco race fuel and adjustments. Taking the outside line on the lap 63 restart, Majeski lost the lead and fell back to third but swiftly climbed back to second with 30 laps to go. Majeski came down pit road one final time after a lap 85 caution for four tires, fuel and adjustments. With a quick stop complete Majeski stalled leaving the box, costing him valuable positions for the restart. Lining up fifth and having nine laps left when the track went back to green, Majeski was able to regain those lost spots to finish the night in second. The second-place finish tops off a list of achievements earned by Majeski throughout the 2017 season. 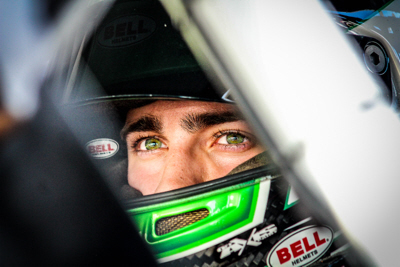 In all five races with Cunningham Motorsports, Majeski never qualified or finished outside of the top-10. The Roush Fenway Racing development driver came away with one top-five finish, five top-10 finishes and 89 laps led. Majeski’s average finish was fifth with an average start of fourth. Keep up with Cunningham Motorsports on Facebook and Instagram (@CunninghamRace) and on Twitter (@Cunningham_Race). Head to www.cunninghamrace.com for more news. You can also follow Ty Majeski on Facebook (@TyMajeskiRacing), Twitter (@TyMajeski) and Instagram (@TyMajeski_).